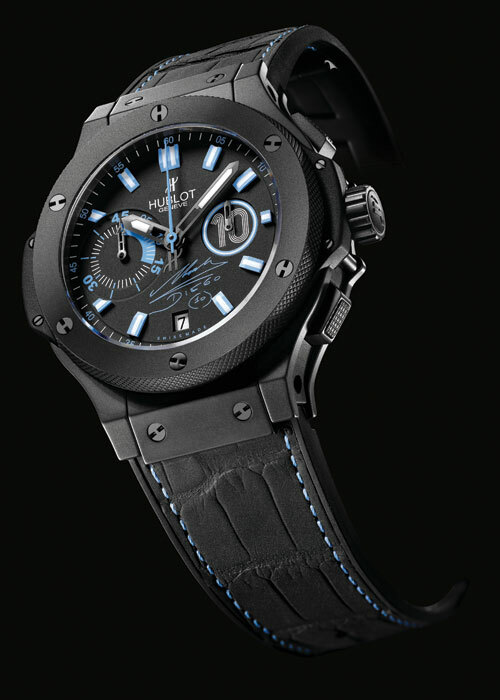 Hublot , a watch brand known for its close association with the game of soccer, has unveiled the Big Bang Maradona, a tribute to the legendary Argentine player Diego Maradona. Adorning the wrist of the ‘Hand of God’ now will be the chronograph bearing his own name. The Big Bang Maradona is a limited edition model in black ceramic, bearing the champion’s signature in sky blue on the dial, as well as his lucky number 10. The matt black oversized ceramic case of the Big Bang Maradona, measuring 44.5 mm in diameter, surrounds a black dial bearing Diego Maradona’s signature in blue, with his lucky number 10 on the 3 o’clock counter. This same blue is used for the indices and the seconds hand, and for the special 45 minute counter (to count down to half and full time!) at 9 o’clock. The Argentine Blue is applied on the appliqués, case back and stitches on the luxurious alligator leather strap as well. The case back features a portrait of the football legend, arms raised in victory! 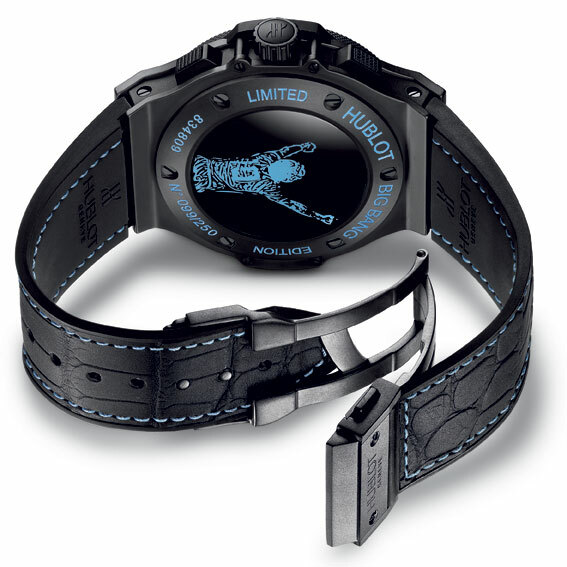 In the past too, Hublot has been associated with the game of football. Being the official timekeeping partners of Man U and bringing out the Man U United Red Devil Bang Watch in 2008, a hit among football fans of the club.